It is always challenging as a teacher, preacher, or a blogger this time of year to approach the account of our Savior’s birth from a fresh perspective. The story from Luke’s gospel is so familiar to us all. One of the ways that I did that as a teacher was to explore some unique perspective of the Christmas story through whatever book of the Bible we were studying at the time. That was especially challenging the year we were studying Ezekiel. But even in Ezekiel, I found it not nearly as difficult as I had anticipated. Because the Christmas story- God’s plan for mankind’s redemption- is woven throughout Scripture. Of course, the most familiar Christmas accounts are found in the pages of Matthew and Luke. But in recent years I have been drawn more to John’s account. You might argue that John did not write of the birth of Christ in his gospel, but you would be mistaken. As was his style, John just presented it in a different way because John had a different agenda or purpose for his gospel than the synoptic gospel writers. Those other gospels focused heavily on presenting the detailed events of Jesus’ life- John focused on capturing the person of Jesus Christ. John’s account of Jesus’ birth was very plainly spoken- it can be easily memorized- but it speaks volumes theologically. It is found in John 1:14 which says “The Word became flesh and made his dwelling among us.” We sometimes miss the awesome impact of that simple truth in our own Christmas traditions. We are thrilled each year by the thought of the spectacle of that night. We imagine the majesty of the angel and the heavenly host that appeared to the shepherds; the simple, yet touching manger scene with the precious little baby wrapped in swaddling clothes. We gaze in awe and wonder as skilled actors, musicians, and singers attempt to recreate the majesty of that night in drama and song. All of that is part of the Christmas experience as we celebrate it each year – the Christmas traditions that connect us with other Christmases going all the way back to our childhood. It is all part of our effort to keep Christ in Christmas. And it is all good and pleasing and very much needed in this increasingly secular world we live in. But sometimes we let even that focus on keeping Christ in Christmas cause us to miss the most important truth about Christmas – that when Christ was born in that manger in Bethlehem that night, God himself left the splendor of heaven, humbled himself by taking on flesh, and made his dwelling among us. I love what Luke says concerning Mary’s reaction to all the events of that night. While the shepherds gazed in awe and wonder at the spectacle and all who heard their story “were amazed at what the shepherds said to them”, Luke says Mary “treasured” them up and “pondered them in her heart.” (Luke 2:19) At Christmas, we need to spend less time hustling and bustling and more time just treasuring and pondering … treasuring and pondering the person of Jesus Christ – who He is and why He came. And nobody answers those questions better than John in the pages of his gospel. Nobody makes a stronger case for the deity of Christ than John. Nobody knew Christ more intimately than John. And nobody moves us to know Christ more intimately ourselves than John. My wife and I have a grandson who has Asperger’s Syndrome. After his initial diagnosis, I sought out much information about this particular form of autism spectrum disorder which can be highly functioning but characterized by difficulties in social interaction and nonverbal communication. One of the most interesting books I read was “The Journal Of Best Practices” by David Finch. This book was unique because it was actually written by someone with Asperger’s. Prior to his diagnosis after his marriage, Finch’s condition caused tremendous conflict in his relationship with his wife. He recorded this journal to help him remember basic rules for social interactions and problem solving that most of us learned from an early age through everyday life experiences, but which never registered with him because his brain processes information so differently. As I read his account, I was struck by how well the author describes his thought processes as he deals with situations most of us never even think about. After his diagnosis, many of the conflicts with his wife began to resolve themselves as she learned more about Asperger’s and began to understand why he responds differently to things than she does and as he began to understand why the things that seemed perfectly normal to him were so upsetting to her. He began the journal to train himself to act more in line with her expectations. Finch was able to articulate his thought processes in a way my grandson cannot. When I read books about autism and Asperger’s, I know more about my grandson. But there’s a big difference between knowing about someone and truly knowing someone. After reading this very personal account from someone who actually has Asperger’s, I felt as though I truly knew my grandson more intimately and personally. I thought of that as I reflected on this simple passage from John. 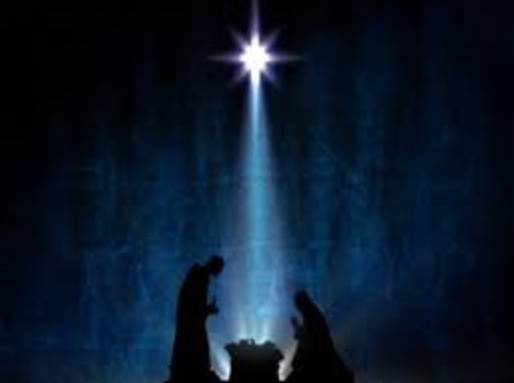 “God became flesh and made his dwelling among us.” Jesus came to show us the Father; To speak to us the very words of God so that we can better know the Father more intimately and personally. He told Phillip, “The words I say to you are not just my own. Rather, it is the Father, living in me, who is doing his work.” (John 14:10) Jesus walked in our shoes; He faced the same temptations that we face; and yet was without sin- thus qualifying Himself to make atonement for ours. That is the unparalleled message of Christmas- a message so well articulated by John with those memorable words, “The Word became flesh and made his dwelling among us.” I pray that this Christmas you will ponder those words, treasure them in your heart, and reflect upon their implication for your life. El Shaddai, The Almighty God, is also Immanuel, God with us. God Most High is also God Most Nigh. May you experience the reality and the power of His presence this Christmas as never before. And the Gospel of John would be an excellent place to start! 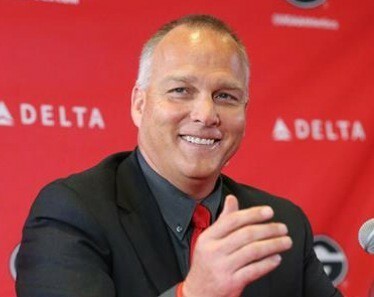 After much speculation, Mark Richt was officially named today as the next head football coach of the Miami Hurricanes. Even though he coached my team’s arch rival for the last 15 years, I have always had the utmost admiration and respect for Coach Richt, both as a football coach and as a life coach for his players, most of whom will not go on to play professional football, but will need other life skills, knowledge, and character to succeed in life after their playing days are over. Coach Richt understands that better than most coaches at the college level. It amazes me that a coach of his caliber and abilities, the fifth winningest active coach in Division I football, whose team was 9-3 this season, averaged 9.6 wins/season over 15 years in arguably the toughest conference in college football, who won two SEC championships, led his team to 14 straight bowl appearances, was 9-5 in those bowls, was 13-2 against his team’s state rival, finished the season ranked in the top 10 seven times (most recently 9th last year), and came within five yards of a national title game just three years ago, was fired this past Sunday. This action adds to my increasing disillusionment with what college football has become- big money and win championships at all costs, no matter the impact on those who are putting their health on the line to fill the stadium. Coach Richt never bought into that philosophy and I applaud him for it. Meeting with his team for the last time Thursday, he reportedly told them “Life is about people, not rings.” Amen, Coach Richt! The greater lesson in all this is a spiritual one. Coach Richt’s response to his unwarranted dismissal last week has been both encouraging and inspiring. His calm professionalism, grace, and unshakeable faith in his Lord has been on display for the world to see. In interviews following his dismissal he made it clear that he answers to a higher authority than athletic directors when it comes to the direction of his life. I’m glad that direction will keep him coaching college football where he will continue to have a positive impact on young men’s lives and the Kingdom of God. One of my favorite authors, Philip Yancey says that “Faith is believing in advance what will only make sense in reverse.” Coach Richt clearly has that kind of faith and I firmly believe when he looks back on this week in five years, he will see that things worked out much better for him than for the Georgia Bulldogs. And as a lifelong Georgia Tech fan, that would please me very much!